Since you are on this page, you have probably heard that it is possible to make money by sharing your opinion, and are curious about how it works. There are several ways to do this, and I have tested many ways, and in this article I will show you how to get paid for your opinion and 3 easy ways you can do this. 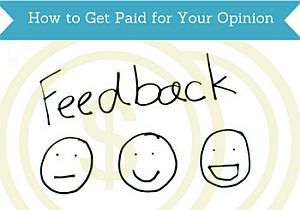 Why get paid for your opinions? Before getting into how to do it, let’s first look at some reason why it might be worth considering sharing your opinon for money. One obvious reason is that it is nice to make some extra money. But there are also other reasons than money to share your opinion. Through the link above, you can read a whole article I have written about reasons beyond money to get paid for sharing your opinion. An important aspect is that it can be a great way to get influence. If you have an opinion about products, companies, politics, services, etc., it can be nice to have it heard, but it can be difficult to get through with your opinion. But companies that are doing market research and that are willing to pay you to participate, are doing it because they want your opinion and want to be able to adjust their services, products, etc. according to the feedback. So by using one of the methods below, you can directly influence companies and governments, and at the same time make a bit extra money from it. Now let’s look at 3 easy ways to share your opinion. Online surveys are a great and easy way to get paid for your opinion. It is very easy and can be done whenever it fits into your own schedule, and does not require any form of training or specific skills. Because of these reasons, and because it is possible to take part in quite a lot of surveys this way, if you want to, this is my favorite method, and the one I have had most success with myself. Online surveys are offered through different survey sites. One thing that is important to know is that it is however not all survey sites that are legit and some are legit, but just a waste of time. But if you join the best and legit survey sites, it can offer a lot of opportunities. Be aware that the amount of opportunities varies greatly depending on where in the world you live. English-speaking countries have by far the most opportunities, but other countries have great opportunities as well. I have done thousands of online surveys, and tested many sites. Below you can find a link to the survey sites that I have found to be the best and give the best opportunities. On the list, you will also be able to see which countries the different platforms are available in, and what kind of payout method they offer, so you quickly can find the ones relevant for you. There are many “earn money” apps that also offer some surveys. You can just go to your app store and try to write “earn money” and a long list of apps will come up. I have tried several of these apps, and it is difficult to find good ones. I myself have not really been able to find any really good ones, but have of course also not tested all. 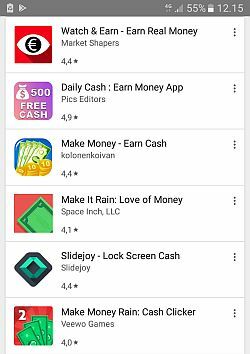 The only one that I have found to be nice and easy is Google Rewards App – it will however only make you very little and you can only earn credits to Android Playstore, but it is very easy to use and the surveys there takes very little time. There are however a number a survey sites that also have their own app. An example of the very popular survey site Swagbucks that has a great app. So if you join a survey site you like, and it has an app, there are good chances the app will also be great to use. If you want to make money through sharing your opinions on the go, your best chance is therefore to find the app of the good survey sites, or simply login to the survey sites you are a member of on your mobile and do the surveys that way. Another way to share your opinion is focus groups. As this is mostly not taking place online, it takes a bit more planning and more effort to find the opportunities. It is often more local opportunities as you mostly have to show up in person for a group interview. So if you are interested in these opportunities, you can do a local search and keep an eye on classified ads in your local area, as this will often be where you can find these opportunities. There are some more local survey sites that sometimes do screenings and invite certain members for focus group interviews. I have myself tried this in Northern Europe where I live. A local survey site I was a member of, invited me for a focus group interview after having done a screener survey online. It has however only happened once out of thousands of surveys, so not the best and most effective way to find the groups. An advantage of focus groups are that often they give a pretty good compensation in relation to the time spent. Often it will however not be in cash but as vouchers. But if it is useful vouchers, it is as good as money. The disadvantage is that there are not that many opportunities, and they can be hard to find. So if you would like to make some extra money on regular basis, focus groups are not the best way, but when you see the opportunities, it can be a great addition, and also be quite fun to participate in. How much money can you make on your opinion? As mentioned in the beginning, the money aspect is not the only reason to participate in surveys or group interviews. But of course it is also important to know how much you can actually make this way. It is really difficult to say, as it depends on a number of different things like for example where you live, your age, your interests, how much time you are willing to spent ect. 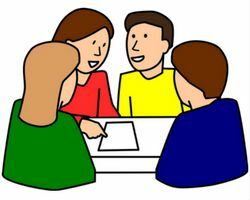 Focus groups can only be done once in a while and is not a regular thing. Online surveys can be done every day depending on the sites you join, and some also offer many daily opportunities. But in general, it is important to know that doing surveys and sharing your opinion will NOT make you rich. It can give some nice extra money, but it is important to manage expectations and know that it will not make you a full-time income. If any site is promising ypu will get rich or make huge amounts of money with only a few minutes a day, it is most likely a scam or a site just trying to sell you a dream to make money itself. 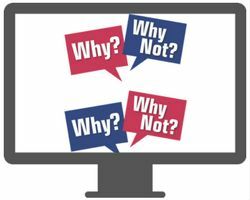 Without the right expectations it will be dissapointing, but with the right expectations, surveys can be a great way to make some extra money, have your opinion heard, and also be quite fun at times. Making money on your opinion can be great, if you find the right method for you. 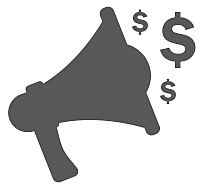 Both to have your opinion heard and making a bit extra cash is in my opinion a great opportunity, and something that I have benefited a lot from myself. Of the methods above, the one with the biggest potential and biggest freedom is the online survey sites. You can always choose which surveys you want to do, and when you want to do them. And it can also be great to use the survey sites on your mobile or download an app for the survey sites that offer this, to get more flexibility and be able to do surveys when you for example are waiting in line or waiting for the bus etc. If you decide to give online surveys a try, just remember that not all sites are legit. If a site tries to charge you a fee for joining, stay away from it. If you have a look around my website, you can find a lot more information about which sites to stay away from, and which sites that are great to join. You can also start by checking out my top 10 paying survey sites through the link below. I did spend some time filling out surveys but found it extremely boring and slow paced. Obviously, I am not questioning about all legit companies. I admire the fact you emphasizing on sharing thoughts and views. The world is experiencing technology boom everyday and it will be wise to take advantage from it. I enjoyed your post. Keep writing. Thanks for your feedback Sarim. I agree that not all surveys will be interesting, but on many topics I find it very useful and interesting to be able to provide feedback. I have also by now done so many surveys that I know a lot about how they are built, which makes it possible to do them a lot faster than when I first started, but still with quality. I have written a whole article about how to be able to do surveys faster that you can check out, if you are interested. I don’t really like survey sites at all and one of the reason is because a lot of them don’t even pay out. I have tried them in the past and I just wasted my time with no results what so ever. So it is good that you are pointing people in the right direction. Sorry to hear about your previous bad experiences with survey sites Thomas. Unfortunately not all survey sites are legit, and I have also heard some people having problems at certain sites. But luckily there are also many good and trustworthy sites that always pay out. That is also one of the reason I have this website – to guide people in the direction of the good survey sites and away from the bad ones. Hey Mikael! I never knew that by completing surveys and stating my opinion I could earn money. It seems like an easy way to make some extra cash once in a while, as it doesn’t need much time and effort. I will probably dig into it a little more to find some good apps in order to earn some money. Thanks! Thanks for your comment John. I am glad I could help and that you found some inspiration.